St. Thomas Aquinas College and Lamont-Doherty Earth Observatory of Columbia University are co-hosting an Earth Day Fair to promote awareness of environmental issues and sustainability solutions on Tuesday, April 17 from 10 a.m. – 2 p.m. in the Romano Student Alumni Center on St. Thomas Aquinas College’s campus. The event is free and open to the public. The third annual Earth Day Fair is a community event that brings students, scientists, and educators together to promote environmental sustainability in our neighborhoods and beyond. The event will feature activities and scientific demonstrations from various groups at Lamont and the College. The event will also provide a unique opportunity for participants to learn about research and outreach being done at Lamont and St. Thomas Aquinas College related to earth and environmental sciences. “This kind of outreach fair is a great way to engage students in the community through hands-on activities with scientists who are actively doing field work and research in the field of earth sciences,” Cassie Xu, education and outreach coordinator, Lamont-Doherty Earth Observatory, said. Activities for students will include: Zoology and conservation with live animals; See how you can study the ice in Earth’s polar regions; Study Earth’s climate history using fossils; Uncover what organisms live in Sparkill Creek; Learn how we can protect our local wetlands; Discover the importance of runoff into our local watersheds; Learn how to use science to study the importance of phytoplankton; Learn how to compost with live demonstrations; and many more activities. “I believe it is critical to educate not only our students, but also members of our local community regarding the impacts of global climate change, and the importance of Earth Day. 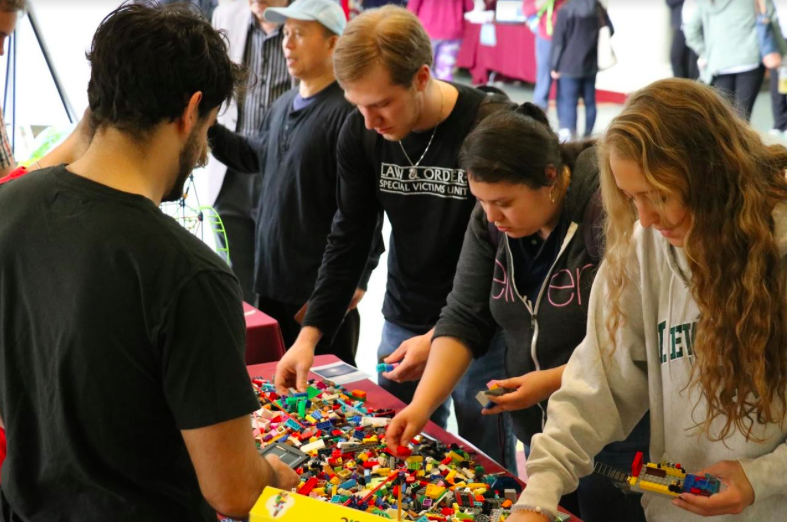 This fair represents our opportunity to do just that while having a wonderful time in the process,” says Dr. Ryan Wynne, associate professor of biology at St. Thomas Aquinas College. For more information, contact Dr. Bianca Wentzell, assistant professor of biology at St. Thomas Aquinas College, at bwentzel@stac.edu.